Our highly-skilled paving contractors are trained to provide you with the options you need as well as the quality care you deserve. Our driveway paving services instantly add curb appeal and value to your home. From parking lots to sports courts we meet the needs of any commercial paving project. Our top-notch sealcoating process protects your paving investment. An accurate grading of the landscape before a paving project is a must-have. Perfect pavement outside of your home or business says a lot. We've been pavers for three generations. Our locally owned and operated paving company has been in the business of enhancing Portland area homes and businesses for over 30 years. Our longevity speaks for itself, our experience ensures a high-quality finish. We don’t consider a paving job complete until you’re satisfied with the results. If you’re wondering how we can help improve your property value or put the finishing touch on a large commercial project, click below to see our full list of paving services. We provide paving services at reasonable rates while maintaining a professional work environment. We crave the satisfaction that accompanies a job well done. Our pavers approach a project with a sense of efficiency, but we don’t cut quality to reach a deadline. Your needs come first. If you need an affordable quote, but also want an excellent result; we always deliver on both. Want to take your home to the next level? We are your curb appeal specialists. Our asphalt paving contractors know how to put that special touch on your home or residential project. Our pavers handle everything from a fresh new driveway to finished private roads. 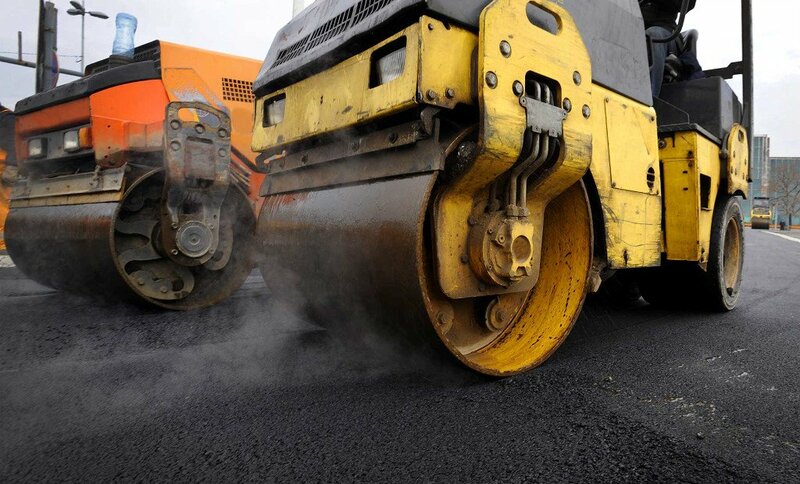 We handle every part of the asphalt paving process from start to finish: paving, seal coating, grading & striping. Tired of looking at crumbling, worn down asphalt at your home or office? We can bring your pavement back to life! Our skilled asphalt pavers will work until you’ve got pavement you are proud of. With over 30 years of experience, we understand what quality asphalt repair means. Let us restore your driveway or parking lot to the pristine condition you deserve. We protect your investment with our long-lasting sealcoat techniques. Sealcoating is one of the most important parts of the paving process, it keeps your driveway or parking lot in good condition for years to come. Don’t underestimate the priority of this part in the paving process. It’s a great feeling when you know that your freshly finished pavement is durable and built to last. ”A great job at a reasonable price! Our residential paving project went start to finish without any troubles. Thank you Conway, Bill and Porter and your crew's for a job well done! The driveway is one of the most used parts of your home, why skimp on it? You deserve the best and our pavers ensure that the asphalt at your home is perfect. Increase property value and curb appeal instantly with our residential paving services. Our reasonable rates mean that you no longer have to dream of a new driveway, we can make it a reality. From our family to yours: it’s worth it. Parking lots are the first thing a customer sees when they visit your business. Leave a great first impression with our commercial paving services. We work hand in hand with owners and contractors to provide professional asphalt paving services for commercial projects. We handle all of the difficult parts of paving so you don’t have to. From paving to sealcoating and striping, our dedication to excellence means your pavement will impress. Discover why our customers keep coming back. Paving is our family business, it's who we are. The Stanley’s have been doing this for a long time, William grew up with an asphalt scraper in his hands! We honor family dedication to service and know’s what it means to serve the Portland area. With each generation knowledge and expertise has been passed down, resulting in excellent value to our customers. When you grow up as a paver you know what it means to do the job right, we don’t stop until you’re satisified.